Prophecy Countdown Publications Get ready to climb back up the Mountain to listen to Christ's teachings once again. Though you may have read the Lord's great Sermon on the Mount many times, discover exciting promises that many have missed. The purpose of this book is to help Christians be the Overcomers Jesus wants them to be and to help them gain their own entrance in the coming Kingdom. Learn what seeking the Kingdom of God is all about and be among the chosen few who will "enter into" the coming Kingdom. "Whoever hears these sayings of Mine, and does them, I will liken him to a wise man who built his house upon the rock." (Mat. 7:24) Also learn about: * The link between Beatitudes and Fruit of the Spirit * What the "law of Christ" really is * The critical importance of the "Lord's prayer" * How to be an Overcomer * THE SIGN of Christ's soon Coming * A new song entitled: LOOKING FOR THE SON which has the message of how vitally important it is to be Watching for the Lord's return and the consequences to those who are not looking. Overcomers Guide To The Kingdom was published by Send The Light Distribution in December 2011. 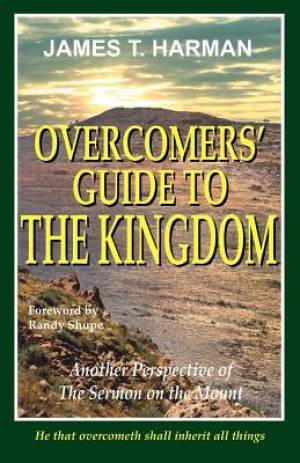 The ISBN for Overcomers Guide To The Kingdom is 9780963698445. Be the first to review Overcomers Guide To The Kingdom! Got a question? No problem! Just click here to ask us about Overcomers Guide To The Kingdom.